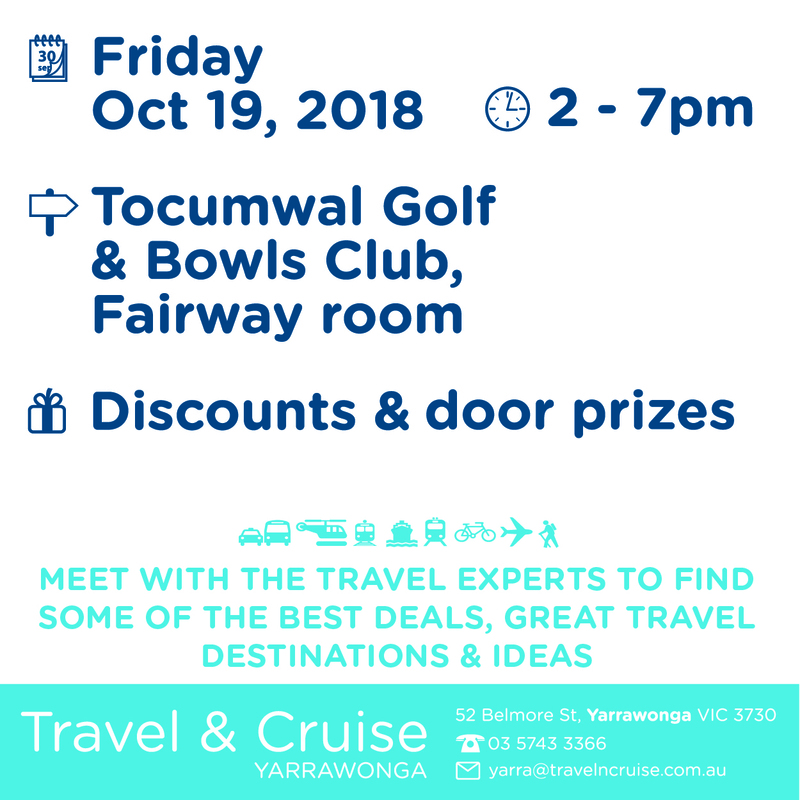 Don’t miss out…Yarrawonga TRAVEL EXPO. Friday October 19. From 2 – 7pm @ the Tocumwal Golf & Bowls Club in the Fairway room. Lots of great door prizes and discounts. 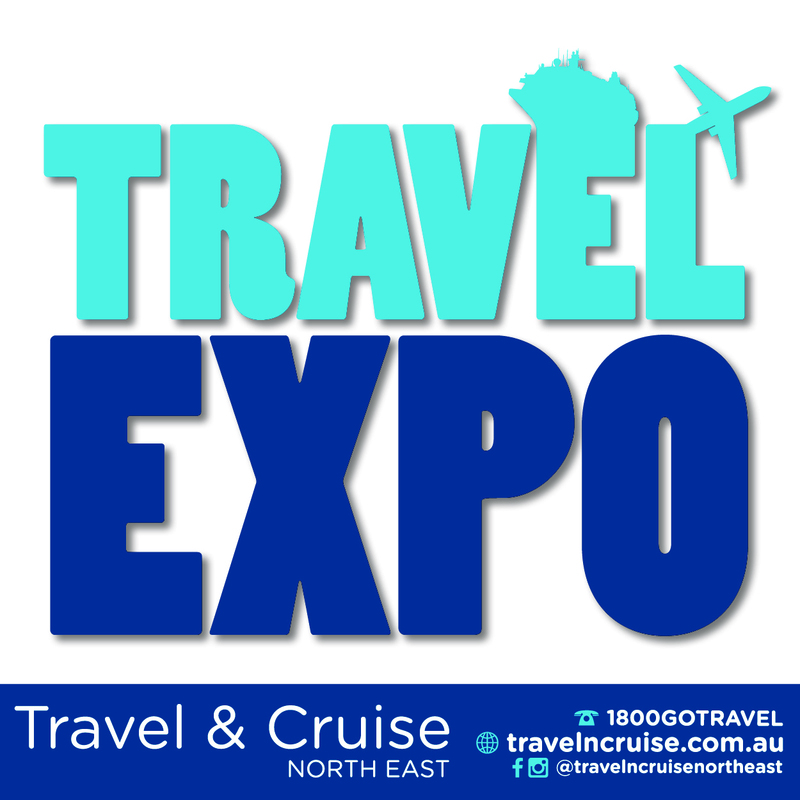 Chat to Travel & Cruise professional Travel Agents about some of the fantastic deals on offer. Discuss some new ideas and take a peek at new destinations you may have not previously considered. Visit some of the great travel experts there to answer all your questions.